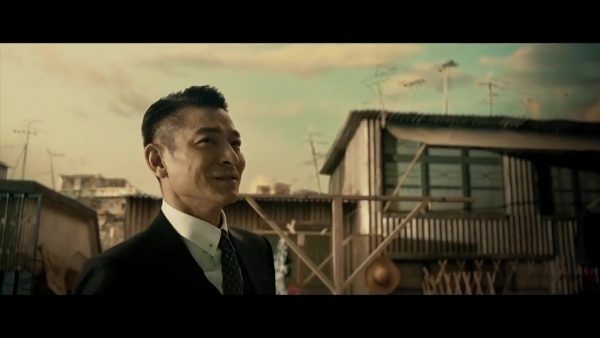 Both Donnie Yen and Andy Lau are deep in their 50s but still headlining action films where they play characters thirty years their junior (Yen does have an array of shaggy wigs to hid under, while Andy Lau just had short hair and looks eternally young because he’s Andy Lau!) 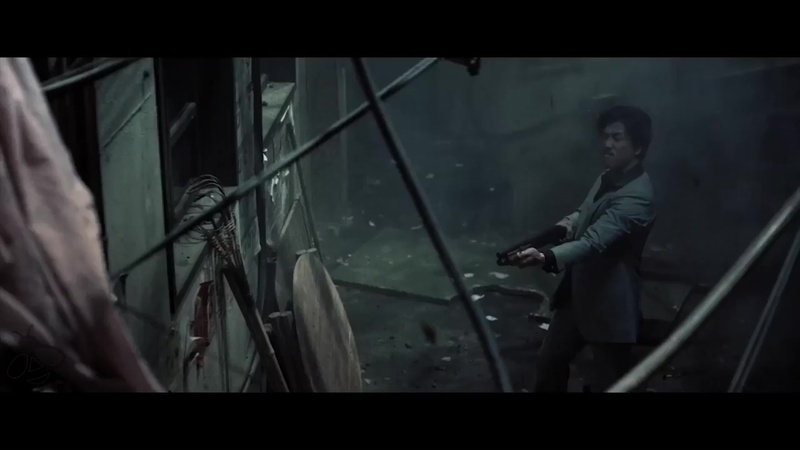 Lau manages to avoid most of the complex fighting scenes by virtue of being a guy with a gun who rushes in later, but there is a central sequence where he is fighting for his life in Kowloon Walled City that allows him to get some fight work in. 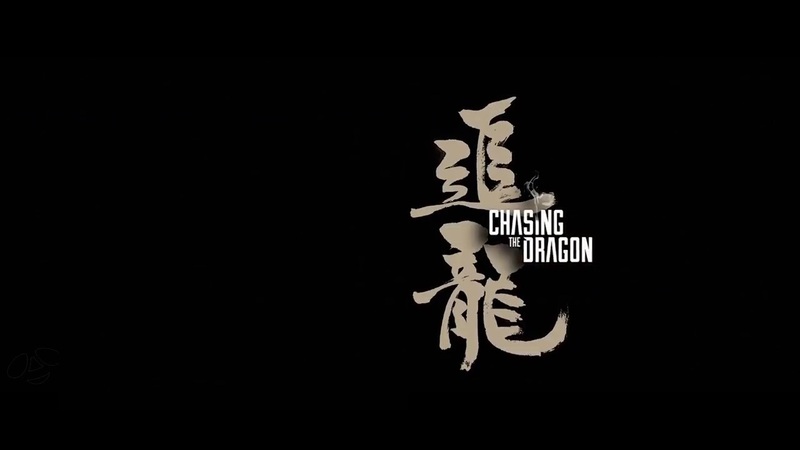 Donnie Yen is the fight star of Chasing the Dragon, in that central scene as well as several others before and after it. 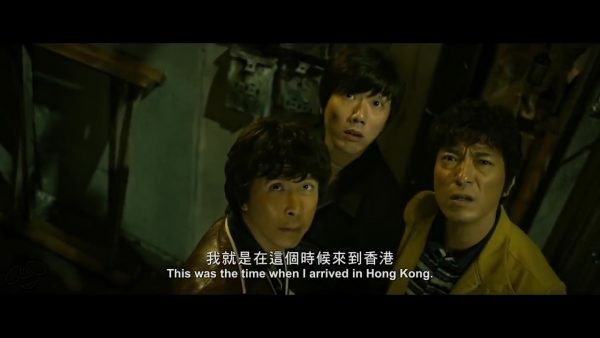 These scenes are all fun, some of them jumping into the strange and violent directions only Hong Kong goes. Yen still has it, even though it is becoming a bit more obvious that he’s getting up their in age. We know Crippled Ho is going to become injured at some point, so the movie even has a bit of fun with it, him being injured multiple times before the actual incident, as well as the cartoon villain British police commissioner specifically targeting his leg in one beating. That cartoon villain, along with his squad of similarly ridiculous British police officers, spend the whole film lording over the whole system, ostensibly keeping Ho and Lee Rock in check by controlling how much influence they are allowed, while our heroes bravely fight against the colonialists by getting more power and influence. Yes, the corrupt policeman and drug dealers are painted as patriotic heroes, which was not the way I thought the movie was going to turn. But it works, because they are just responding to the entire colonial system and breaking off their own pieces of it, consequences be damned. And there are consequences, Crippled Ho’s brother becomes addicted to the same drugs his brother sells, and is later beaten until brain impaired. This is paralleled earlier in the film where a bookish guy attempts to buy drugs from Crippled Ho’s crew, who turn him away as he should be working at his job for the future. The crew has no real future, that wasn’t an option for them. But that guy doesn’t and later is disheveled and in withdrawal, at which point they’ll let him be a customer. Crippled Ho may have gained big power and influence, but it damaged Hong Kong and the people in it, over and over throughout the years. A broken system breaking lives all over. 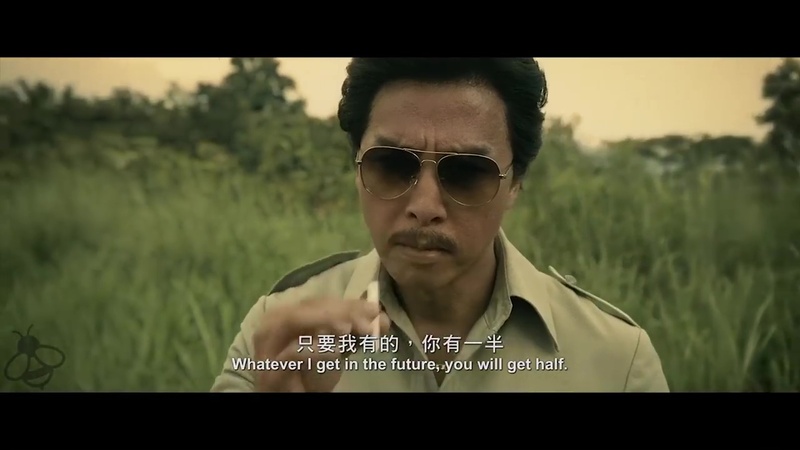 So what was Crippled Ho, was he a brave hero to stand against the system and use it’s problems to give Hong Kong people a tiny bit of self-determination? Or was he a bad man who did bad things that can’t even be justified by that, hurting everyone he loved and thousands of strangers. What could easily be a straight-forward rise and fall of a villain gets clouded thanks to some healthy doses of reality, and Chasing the Dragon emerges all the better.